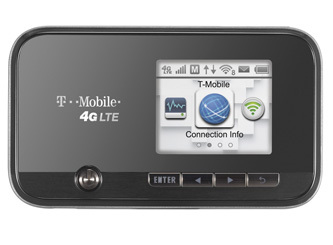 The ZTE Sonic 2.0 HotSpot is exclusive to T-Mobile USA. This portable broadband device only comes in black in a small, compact, and convenient body. This device is compatible with Windows XP-8 and Mac OS & Linux only. The Sonic 2.0 has enhanced 4G and LTE capibilities with a 3000 mAh battery – giving you up to 7 hours of continous usage, and up to 8 days on standby. This hotspot can also be used as a USB stick by inserting a micro SD card (up to 32GB). Once unlocked, this device will only work with compatible GSM carriers worldwide. Unlocking your ZTE T-Mobile Sonic 2.0 is fast, simple and 100% guaranteed by Cellunlocker.net. Unlock your ZTE T-Mobile Sonic 2.0 HotSpot with Cellunlocker.net today and receive your network unlock code within 2 business days! Why Unlock your ZTE T-Mobile Sonic 2.0 HotSpot with Cellunlocker.net? 5. Your device is now unlocked! Unlock Your ZTE T-Mobile USA Sonic 2.0 HotSpot Today!